The Commerce City Chamber of Commerce (4C) is a 501(c)6 non-profit corporation. We launched November 10, 2016. We were formed through the efforts of an all-volunteer Organizing Committee. We are forever indebted to the Centennial Club, the first 100 companies who signed onto the idea of a Chamber of Commerce in Commerce City and made it a reality. 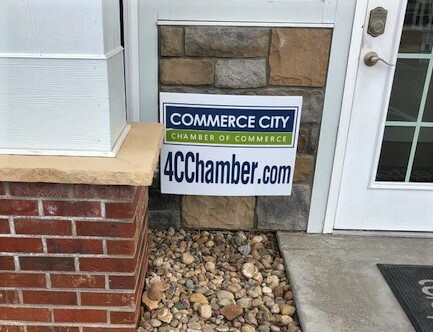 ​The Commerce City Chamber of Commerce will engage, educate, and advocate for the business community and Commerce City.